So what is it that our Pulman SEAT team keep doing to win these awards? 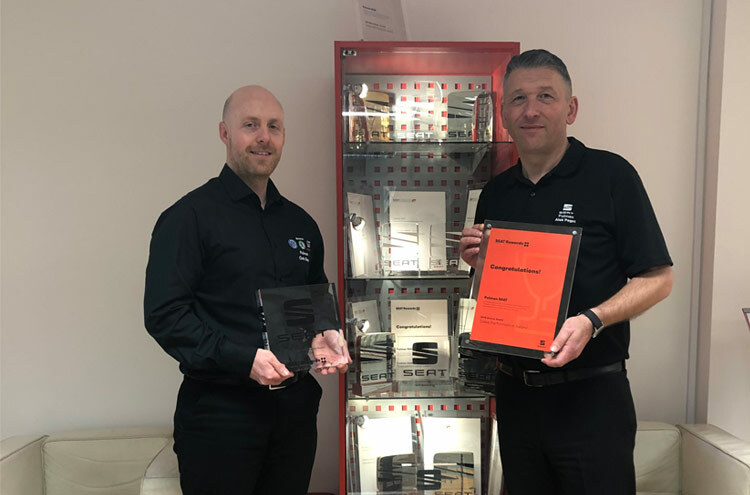 There’s no denying that being awarded 7 out of 9 awards over a 2-year period is an impressive achievement but this wouldn’t have been achievable without the hardworking team. "The people here know the customers personally. They've all been home grown, many of them securing their first job out of college or University with us. They receive fantastic mentoring from Alex, who has 32 years' experience and knows the SEAT brand inside out", explains Chris Slater, Head of Business. Alex Paget, General Sales Manager at Pulman SEAT adds, "We teach new starters the SEAT sales process and key Customer Experience Management points, and then let them be themselves with customers. Once they have the guidelines and boundaries they can interact with customers on their level and tailored to their needs. They all have respect for the rest of business, and they enjoy coming to work - which makes all the difference to the customer and their experience". Training and developing the teams’ skills so they deliver a fantastic customer experience to both loyal and new customers is just one of the key tools to help achieve these awards. At Pulman, CitNow is used to send videos of the new and used cars available to customers who have requested this information, so they receive a personal viewing of the car. Responding to customer enquiries isn’t just between 8:30am and 7pm either, Alex ensures that his team answer out of hour enquiries by offering incentives to ensure the response rates are on track with SEAT’s targets! Pulman also partner with local companies and sports teams which increases the exposure of the Pulman brand across the North East. 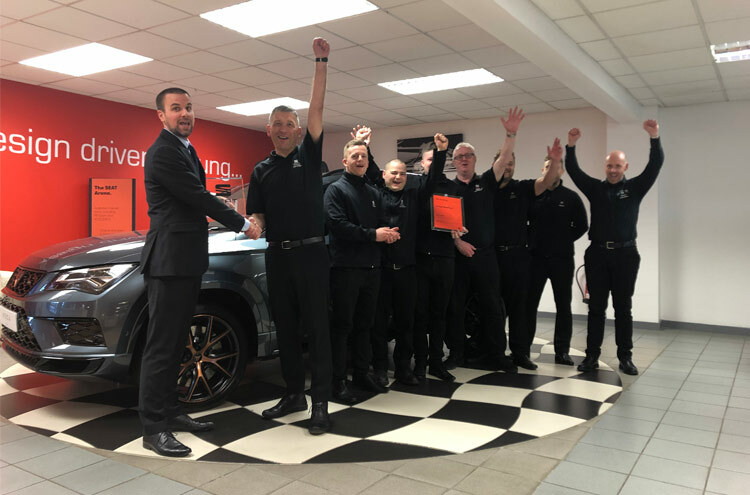 As well as receiving outstanding awards, Pulman SEAT have been selected as one of the 22 CUPRA sites across the UK which is an exciting time for both Pulman and SEAT UK. Further to this, the dealership is starting its refurbishment in April with big plans for the new CUPRA area; the refurbishment is due to be complete by June!